Amongst all the witness statements in the released Portuguese Police files, there are four sets of remarkable and very specific ‘coincidences’. There were two people who wove a complex tale about a photograph and who explained to police: ‘Look, the date and time stamp proves when it was taken’. 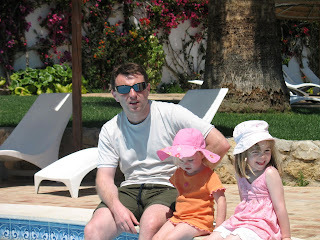 There were two people who were prepared to say that they recognised Gerry McCann as a person they had seen with Madeleine (in one case of 3 May, in the other case on 5 May), based solely on seeing a film of him carrying his son Sean down the steps of an aeroplane. Jane Tanner said that she was 80% sure that the new person drawn by Melissa Little [e-fits] was the same person she had seen on 3rd May. But she clearly admitted originally that she had never seen the face of the man she claimed she had seen. Was it a Conspiracy to Pervert the Course of Justice? "Basically, I'm just an ordinary, straightforward guy who's the victim of the biggest f***-up on this planet - if you'll excuse the language." 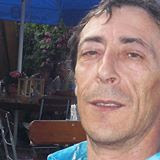 One thing that is obvious from the CD of evidence released by the Portuguese authorities in July 2008, in what was an inexplicably selective disclosure, is the identification by Miss Jane Tanner of Mr Robert Murat as Madeleine McCann’s “abductor”. She picked him out in a surveillance exercise on Sunday 13th May 2007 and persisted in her allegation against him and did not withdraw it until her interviews with the Leicestershire Police in April 2008. You have to dig deep into the CD and other sources to pull everything together, but here is what happened and it is incredible. In the early hours of Friday 4th May 2007, Miss Tanner approached GNR Officer, Nelson da Costa (statements at folios 417, 1340 and 3285) and told him that she had seen an “individual” running and carrying a “child” who was “clearly” wearing pyjamas. The Officer did not consider the sighting credible because when he asked Miss Tanner to describe the “individual” she was unable to do so: excusing herself because it had been very dark. The Officer wondered, if it had been so dark, how she had been able to “clearly” see the child’s pyjamas. A later exchange between Jane Tanner and the GNR Officers was translated by Sylvia Maria Correia Baptisa (an employee of the Ocean Club). Jane Tanner told the GNR, via Miss Baptista, that she had seen a “man” crossing the road, (North of Apartment 5A) possibly carrying a child. Miss Baptista (statements at folios 355,1289 and 1975) found this story “strange, because she was convinced Miss Tanner had not been in a position to see the area concerned. Brown male between 35 and 40, slim, around 1.70m. Very dark hair, thick, long at the neck. (Noticed when the person was seen from the back). He was wearing golden beige cloth trousers (linen type) with a "Duffy" type coat (but not very thick). He was wearing black shoes, of a conventional style and was walking quickly. He was carrying a sleeping child in his arms across his chest. By his manner, the man gave her the impression that he wasn't a tourist. Concerning the child, who seemed to be asleep, she only saw the legs. The child seemed to be bigger than a baby. It had no shoes on, was dressed in cotton light-coloured pyjamas (perhaps pink or white). It is uncertain, but the interviewee has the feeling that she saw a design on the pyjamas like flowers, but is not certain about it. Concerning these details, the interviewee states not having known what Madeleine was wearing when she disappeared. She has not spoken to anyone about this. Concerning the man, she has only mentioned it to Gerald, but without going into details and with the police. The interviewee has been invited to draw a sketch which we attach to this document. Questioned, she stated probably being able to identify the person that she saw if she saw him in profile and at the place where she saw him. Strangely, in three interviews, she only once refers to seeing a “man”. This lack of specificity is disturbing. Why does she consistently refer to the alleged abductor as a “person” and not a “man” and to the “girl” as a “child”? If you walk out of your house and fall over a cat, your autonomic memory recall will not lead you to say that you “fell over an animal”; your recollection will be specifically of a “cat” and possibly a “fat black cat with white legs” or a “bloody cat”. In forensic linguistics (see the brilliant analysis of the ransom note in the case of JonBenet Ramsey on www.statementanalysis.com) the truth is usually spontaneously recalled from memory to a specific event, object, activity or time and not to a generality: in the present context the noun “person” indicates that the specific image of a man was not accessible in Miss Tanner’s memory. It suggests an invention of something that did not happen being contrived from the imagination. The rule is that “truth is from memory but lies are from the imagination”. Of course, linguistic analysis proves nothing, but it does raise serious questions about Miss Tanner’s credibility. Later on 4th May 2007 Miss Tanner was asked for more detail about the “abductor”. This resulted in a graphic from the PJ’s computers (which is not on the CD) and to the famous “Egg Man” sketch that was based upon it. The “Egg Man” is a frontal view, without glasses or a moustache and short hair at the back of his head but with strands hanging over the front of his face, with a parting. It is nothing like Robert Murat. Miss Tanner subsequently told the Leicestershire Police that she could not have improved upon the “Egg Man” because the PJ did not have computer software that could draw profiles. This is an implausible excuse and she gave a detailed verbal description that is unlike Mr Murat. The “Egg Man” sketch as well as her verbal description of the “abductor” were not consistent, nothing like Mr Murat, yet this did not prevent her, later on, picking him out as the person she saw on the night of 3rd May 2007. In her second statement to the PJ (on 10th May 2007) Miss Tanner said (see the summary translation at folio 3994 of the CD) she “believed it (ie the child being carried by the abductor) was a girl and therefore her pyjamas were light coloured (White or pink)”. She did not say she had seen pink pyjamas, nor that they had a pattern or frill on the legs. This very significant detail – which precisely matched the clothes that Miss Tanner later learned Madeleine had been wearing - only came much later. Miss Tanner assumed, because the man was carrying a girl, the pyjamas would be pink! But why did she assume it was a girl when she has consistently admitted she did not see the child’s upper body, hair or face? This circularity puts us on notice that Miss Tanner’s statement is not credible. “Well, again, I mean, and this is….. I think initially I couldn’t really bring, I could only really remember the feet. But the day after, when we had, they, at the interview, the person that was interviewing was really pushing me to try and, you know, remember any more details, and the one thing that I could really think was, erm, a turn-up of some description. And I don’t know whether this made it into my statement, (SHE MUST KNOW IT DID NOT) but there was, and this is the thing that convinces me it was her, there was, erm, sort of the pyjamas were, there was some sort of, I thought it was a turn-up, but some sort of design on the bottom of the pyjamas. And I did say it in my first statement and in my second statement. I can remember saying it again and, erm, the translator in there, because I said I don’t know whether this made it into my first statement or not, but the translator sort of went ‘Oh yes, I can remember you going like this’, because I was moving my hands up, but I was sort of talking about something at the bottom of the pyjamas. Because, from my own point of view, and I think, you know, Oh was I trying to, I can think that I would think ‘Oh maybe a little girl would be wearing pink pyjamas’, so, you know, if you were subconsciously putting things in your head, I can think pink pyjamas, yes, but I wouldn’t think of some detail around the bottom of the pyjamas as a specific thing to, to mention. But she maintained that she could not possibly have imagined (and therefore must have seen) “some sort of …. turn-up or design” or “detail around the bottom of the pyjamas” that was included in her first and second statement. The problem is that this description was not mentioned in her first statement (made on 4th May 2007) but was critically important because it perfectly described the clothing that Madeleine had been wearing. Miss Tanner claimed not to have known, at the time of making her first statement, what Madeleine had been wearing, because she had “not been in the room” when Kate McCann had given the description of them. Again, in the forensic linguistic field, the use of words such as “therefore”, “since”, “hence”, “as”, “so” or “because” put the analyst on notice that the explanation may not be truthful. However, she cannot deny having been told about this detail before 10th May 2007, so its inclusion in her second statement really counts for nothing. The words “because” etc are usually associated with “pseudo denials” such as “I did not take the money, because I did not have the keys to the safe”. Truthful denials and truthful assertions are usually totally committed and do not need to be subconsciously supported by words such as “because” or “therefore” etc. “I did not steal the bloody car” is more likely to be truthful than “I did not take the car because I cannot drive”. Liars often fret that their stories may be disbelieved and subconsciously add unnecessary reinforcement, often introduced with the linking word “because”. Miss Tanner uses “because” a lot! Miss Tanner (again the summary at Folio 3994) stated “….. I did think it strange that “the child” (not a specific recall to a “girl”) has a blanket/sheet to cover it”. She has since denied that she ever said the girl was covered by a blanket and it is possible that the translated summary statement is erroneous. But that is what it says. Miss Tanner’s apparent use of the present tense “has”, when relating a past event, is a classic symptom of deception, as is the unspecific noun “child”. Also, the use of the pronoun “it” is not consistent with an accurate focused retrieval from memory: the pronoun “her” would have been more indicative of the truth whereas “it”, when supposedly recalling the sighting of a young girl, is not. Both Miss Tanner and her husband – Russell O’Brien – admit that in her early conversations with the PJ about the “abductor” she had “not wanted to believe” or “did not give much importance” to what she had seen and may have, to use Russell O’Brien’s words, “underplayed” the sighting. She says she “avoided mentioning” precisely what she had seen to Mr and Mrs McCann “therefore she didn’t want to increase their suffering” (Folio 3995). Again, the word “therefore” appears. We know her explanation is not true because the chronology agreed by the Tapas 9 (including Mr and Mrs McCann)—by tearing pages out of Madeleine’s picture book before the PJ arrived—specifically describes Ms Tanner’s alleged sighting. She did tell them about seeing a “person” with a “child” but she did not tell them about the child’s pink pyjamas, with a design on the trousers. And the possible reason for this omission may have nothing to do with preventing the McCann’s “suffering” but results from the story being embellished after the event to match Madeleine’s clothing. Extreme care has to be taken with applying linguistic analytics to any statements and especially to those that have been translated. What is unacceptable, in both the PJ and Leicestershire Police interviews, is that the English versions (before translation) are not in the CD. Good practice would dictate that the statements should have been first written (or tape recorded) in English or in the witnesses’ native language (so they can properly agree them) and then translated into Portuguese for proceedings in that country. Both versions should have been retained. This does not seem to have happened with any of the statements now in the CD. It appears that the PJ made the translations of their interviews with the Tapas 9 in real time, while the conversations were taking place, and did not keep a record in English of what, precisely, was being said. Similarly, there is no record in the CD of the English versions of the Leicestershire Police interviews with independent witnesses. The bottom line is that the content of virtually all of the statements in the case could be denied and this may be one of the reasons why the Portuguese prosecutors decided to shelve the case. It is alternatively possible that full transcripts in English of the Tapas 9’s interviews by the PJ are available but they are not to be found in the CD. We can measure how confident and concerned Miss Tanner was, at the time, by the reaction of her husband and other searchers. None of them went tracking off in the direction she claims she had seen the “abductor” striding “purposefully out”. In fact, no one (including the Portuguese sniffer dogs) seems to have taken her sighting seriously. This is unsurprising as she did not take it seriously herself! “Lori has been speaking to an Interpreter who has been helping the Portuguese authorities with the investigation into Madeleine’s disappearance. He has only given his name as “ROB” (sic) and has not given any background information about himself. Lori has become suspicious of Rob as he has given conflicting accounts to various people and became very concerned when he noticed his photo being taken by the Mirror’s photographer. ROB stated to Lori that he was going through a messy divorce in the UK at the moment and that he had a 3 year old daughter just like Madeleine, who he is separated from at the moment. He made a big show of telephoning his daughter in front of reporters and Lori felt he was being too loud and making a big thing of speaking to his daughter on the phone. The things that ROB has said to Lori have raised her concerns about him. The Leicestershire Police were impressively quick in forwarding Miss Campbell’s information to the PJ, in stark contrast to the way they handled some other matters. For example, in mid May 2007, Katherine and Arul G***** contacted the UK police. They are both doctors and friends of some of the Tapas 9. They made statements claiming that, while on an earlier holiday with Mr and Mrs McCann and Fiona and David Payne (two of the Tapas 9), Mr Payne, in the presence of Mr McCann, had made disturbing remarks about Madeleine in what might be construed to be a sexual and perverted way. These potentially critical statements were not reported to the PJ until many months later and then only after the Portuguese Officers had heard rumours and had specifically asked to see them. Although the statements are indexed in the PJ files, they are not included in the CD. This omission has to be deliberate. Miss Campbell’s report must have hit the hot buttons, because Mr Murat came under suspicion and the PJ intercepted his telephone (see folios 1017 and 1267), picking up some interesting chats with Martin Brunt of Sky TV (see folios 1675 and 1692) but little else except for a conversation with “Phil” a British Police Officer whom Mr Murat asked about the ways mobile telephone signals could be traced to specific locations. Mr Murat’s interest seemed to be whether such tracking would prove he was at home during the critical hours of Thursday 3rd May 2007 and thus tends to support his innocence. There was nothing from the PJ’s surveillance to implicate Mr Murat. However, things were to change and change very quickly. In the early afternoon of Sunday 13th May 2007, Miss Tanner spoke to “some of the people that Kate and Gerry brought in” (believed to be Control Risks Group (CRG) whose two senior investigators—Kenneth Farrow and Michael Keenan— arrived in Faro on the British Airways flight from Gatwick that morning) and told them about her sighting of “the person”. It is probable (but this is not clear from the CD or from the Leicestershire Police interviews) that she told CRG (as she had earlier told the Portuguese Police) that she could identify the “abductor” if she were to see him in profile and in context. The involvement of CRG is important. The company was apparently retained as part of a “crisis management” team by Bell Pottinger on behalf of Mark Warner. Some CRG specialist were probably in Luz before 13th May 2007 but Mr Farrow is the ex-head of the Economic Crime Unit in the City of London Police and Mr Keenan an ex-Superintendent from the Metropolitan Police with specialist fraud and investigative experience. After speaking to “the people that Kate and Gerry brought in”, Miss Tanner received a telephone call from Bob Small (a senior Leicestershire Police Officer, who was assisting the PJ in the Algarve) who told her that the “Spanish Police” wanted to see her! Yes: he did say, according to Miss Tanner, “the Spanish Police”. It is likely, by that time, that covert plans had been made (on some pretext) to induce Mr Murat to walk across the top of the road, north of Apartment 5A, where Miss Tanner said she had seen the “abductor” and was thus the precise context in which she believed she could make an identification. Mr Small told Miss Tanner to not to discuss anything with anyone, including her husband. She claims she followed this instruction to the letter: but is it realistic to believe she did not tell him anything: or is she lying on this point? If she is being untruthful, why? Mr Murat was under suspicion but had not been made an “Arguido”. He been around the Ocean Club a lot from 4th May 2007 onwards and had interpreted the PJ’s interviews with Catriona Baker, Stacey Portz , Leanne Wagstaff and Amy Teirney (Folio 457). It is possible that between 6th May 2007 (when his name was mentioned by Lori Campbell) and 13th May 2007 the news that a local suspect had been identified had reached the ears of the “Tapas 9”. It is even conceivable that they knew the suspect was Mr Murat. Unlike her husband and others of the “Tapas 9”, Miss Tanner had never been introduced to Mr Murat. Arrangements were made for Miss Tanner to be collected by Mr Small and his PJ colleagues in a car park near to Mr Murat’s home: this was probably around 7.30pm on Sunday 13th May 2007 while Dr Amaral waited for news in a meeting room at the Public Ministry, preparing to pounce if Miss Tanner’s identification was “successful”. Miss Tanner dramatizes that she was “worried sick” that the “Spanish Police” were about to cart her off to destinations unknown and got her husband to walk with her to the rendezvous with Mr Small. If, as she claims, she did not discuss the identification operation with her husband, what precisely did she say to him? What did he think was going on? Who looked after their kids and what did they tell them? It is beyond belief that Russell O’Brien and some of the other “Tapasniks” did not know what was afoot. Why the police arranged Miss Tanner’s pick up so near to their main suspect’s home was at best foolish and was asking for trouble. On their way to the car park - and just outside his home - Robert Murat (who had met Russell O' Brien on the morning of Friday 4th May 2007) stopped, got out of his green VW van and chatted, showing the couple posters he had made to “Find Madeleine” and generally rattling on about nothing in particular. This was the first time Miss Tanner had been introduced to Mr Murat, but given the events that were about to follow it is amazing she did not cry out “That’s him… that’s the ‘person’ I saw: the abductor”. But she didn’t say a single word. In April 2008 she told the Leicestershire Police that she was concerned that there “was some strange conspiracy going on” (to abduct her) and that Mr Small had “scared the daylights out of her”. She continued: “But that made me even more suspicious because it was like, so I think at that point, I think I actually spoke to Stewart (Stewart Prior the lead UK Police Investigator in Luz)”. She knows she had spoken to Mr Prior and thus had no reason to believe that she was about to be abducted. Her histrionics in this regard are absurd. The discussion Miss Tanner had with her husband about the identification charade are very important. He had already met Mr Murat and would be able to identify him and point him out to her. Was it pure coincidence that he accompanied Miss Tanner to the pick up by Mr Small? Was it bad planning that the pick up was just outside Mr Murat’s house? Was it misfortune that they happened to bump into Mr Murat? Or is the whole sequence far more sinister? Miss Tanner was taken away by Mr Small and the PJ and she says Russell O’Brien wrote down their car registration number, presumably so he could rescue her if the Spanish Police abducted her. Miss Tanner was driven to another location and hidden in the back of an undercover surveillance vehicle (a refrigerated van) which was driven to a position near the side entrance to Apartment 5A, facing north. Miss Tanner then, apparently, saw three people walk across the top of the road: but Mr Murat was the first to do so. It is not clear exactly what she told the PJ at the time but, however she would like to spin the story now, it was enough to make them believe Mr Murat was the “abductor”, notwithstanding the fact that he looked nothing like the “Egg Man” or her verbal description. The sighting was reported to Dr Amaral and the Public Ministry and plans made to arrest Mr Murat. Mr Murat’s home was searched on 14th May 2007. He was made an “Arguido” 15th May 2007 and his face was on every TV screen in Europe, including those at the Ocean Club. A report on Sky News caused Rachel Mampilly to scamper into the Tanner’s apartment saying she recognised Mr Murat from her sighting of him at the Ocean Club on the night of 3rd May 2007. Fiona Payne corroborated this and Russell O’Brien added that he had met Mr Murat, while the search for Madeleine had been taking place on the night and early morning of 3rd and 4th May 2007, and had entered the interpreter’s telephone number into his mobile’s memory at that time. “Cos I’d got, I’d got his number from the day before (for/from?) them and you know, they sort of, you know, to say, oh is this, is this relevant and also I wanted to tell him that I’d seen him (Mr Murat) on the way to doing the surveillance as well as, yeh, just for that so it’s just to make the point really that I think at that point, they didn’t know that Robert Murat had said he wasn’t there on that night”. A PROCEDURAL ERROR OR A PERVERSION OF THE COURSE OF JUSTICE? Miss Tanner telephoned Bob Small and relayed her friend’s concerns, but it is not clear whether or not she told him about the compromising, supposedly accidental, encounter with Mr Murat- outside his house – “five minutes” before identifying him as the “abductor”. In most jurisdictions this encounter would have invalidated Miss Tanner’s identification evidence. It would also have raised suspicions that there had been a deliberate plot for her to bump into the prime suspect (accompanied by someone who knew him) so that she would see what he was wearing and, based on such knowledge, identify him as the “abductor” some “five minutes” later. Whether this suspicion is true or incorrect, it does not alter the fact that the identification exercise was gross incompetence by all involved. Mr Murat denied being at the Ocean Club on 3rd May 2007, which made his position even more serious because it conflicted with evidence from the “Tapas 3”. There is nothing in the CD to indicate whether the supposedly accidental encounter was reported to Mr Small, although the subsequent reaction of the Leicestershire Police (in the interview with Miss Tanner in April 2008; see below) suggests that it was. The critical unanswered question is whether or not Mr Small reported the evidentially corrupting incident to the PJ and to the Portuguese judiciary and if he did why they accepted Miss Tanner’s evidence without demur. Towards the end of May 2007, Mrs Gail Cooper (Folio 3997 and 3982) gave a statement to the Newark Police claiming that when she had been on holiday “in a villa near Apartment 5A” she was visited by a strange man who said he was collecting money for an orphanage near Espiche. On 11th July 2007, a formal confrontation between the Tapas 3 and Mr Murat took place in Portimao. He stuck to his guns: they stuck to theirs' and it became a standoff. In this meeting Miss Tanner was able to get a very good look of Mr Murat and apparently continued to maintain he was the “person” she had seen carrying the “child on 3rd May 2007”, despite the fact he looked nothing like the “Egg Man” The PJ seemed to believe Mr Murat. At some point, Brian Kennedy, the McCann’s financial backer and double glazing magnate, arranged for Gail Cooper to meet Melissa Little BSc (Hons), PS, FBI Diploma, which resulted in the sketch of “Monster Man” who had a long pointy face, moustache, long hair at the back of his head, but no glasses (Folio 3979). On 22nd October 2007 (folio 3905) Gerald McCann emailed Robert Small with two sketches both prepared by Melissa Little, one of which (“the second sketch”) became known as “Bundle Man”. The first sketch is similar to “Bundle Man” but it is in black and white and has a nose (“Nose Man”). Mr McCann wrote to “Bob” Small as follows: “Sketch 1 was the rough outline…… “She (Miss Tanner) was not really happy with the face and therefore Melissa decided to leave it blank”. The differences between the two sketches may appear marginal, but they are critical, because the black and white “Nose Man” (see folio 3906) does not wear glasses, nor does he have facial hair! Since Mr Murat cannot see a barn door without his glasses and is never without them, this sketch would appear to rule him out as the “abductor”. Yet no one acted on this gross inconsistency and he remained an Arguido. No wonder Miss Tanner was “not really happy with the face”, when it totally destroyed her identification of Mr Murat. On 13th January 2008, Brian Kennedy interviewed Albert Schuurmans who is the head of the Roscoe Foundation, based in the Algarve. Mr Schuurmans gave a statement to Mr Kennedy, or to his representatives , claiming (misleadingly, as it happens) that there were no orphanages in Espiche: thus making Mrs Cooper’s sighting potentially very sinister. At around this time, Gail Cooper discussed her sighting with the British media but added further detail and described seeing “Monster Man” acting suspiciously on three separate occasions: firstly when he was walking in heavy rain on the beach at Luz, later that day when he called at her apartment claiming to be a charity collector and two days later when she saw him hanging around a children’s outing arranged by Mark Warner. She told the reporters she had found the man “disturbing”. It should be noted that in none of her alleged sightings did she see him “striding purposefully”. Miss Little prepared a second sketch showing Mrs Cooper’s “Monster Man” striding out and in a very similar pose to that based on Miss Tanner’s most recent recollection. The pose is strange because none of Mrs Cooper’s three sightings saw “Monster Man” “striding purposefully”. It is also significant that Nose Man has no moustache. Miss Little seems to have exercised a high degree of artistic licence. But whichever way you look at these pictures it is obvious they are not of Robert Murat and nothing like the “Egg Man”. •How are you going to deal with the possible press issues? •What are you planning around Mr Kennedy and the private investigation firm? Significantly, nowhere in the PowerPoint pack is there any mention of the very precise sighting by the Irish Smith family (who identified Gerald McCann as the likely abductor), nor has there been (as far as can be found in the files) any attempt to follow the Smith’s evidence, except by Mark Harrison the UK Police search expert, (Folios 2224 and 2262) who on all of his search plans marks only two sightings… that of Miss Tanner and that of the Smith family. Mr Harrison obviously takes the Smith sighting seriously. On 17th January 2008 Detective Constable 4168 of the Leicestershire Police interviewed Gail Cooper and emailed the Operational Task Force. Mrs Cooper tried to explain the News of the World’s additions and embellishments to her police statements with the phrase; “It never crossed my mind”….. and the Officer reported that she “mentioned a man called Brian Kennedy who was working for the McCanns and …. had sent an artist down to do a sketch of the man she saw at the villa “(Folio 4005). We have not spoken to Jane at all and will not share our files with anybody, except yourselves, unless you request this from us. It appears there were at least three charity collectors if not more in the area in the weeks before Madeleine being taken. Later Mr Prior refers to an email from Michael Graham of the Leicestershire Police who reported “I (Mick Graham) have spoken to Charlotte Pennington this morning and she has no additional information to give……….. She has been spoken to by a Private Investigator (Noel Hogan) working on behalf of Metado 3. Charlotte assures me that she has only relayed to him the same information that she has already given to the PJ and to me (as per email dated 7th August 2007). On 20th January 2008, the News of the World published a long article on Mrs Cooper’s alleged sighting and printed the full facial and striding out sketch of “Monster Man”. On 21st January 2008, Clarence Mitchell, the McCann’s spokesman held a press conference releasing details of “Monster Man”. The News of the World concluded “The sketch by qualified police artist Melissa Little, bears an uncanny resemblance to an earlier picture, based on Miss Tanner's story”. This is unsurprising given both selections had – using considerable artistic licence - been made by the same artist—Melissa Little and paid for by Mr Kennedy to assist the McCanns. Why did Mr Kennedy not get the fragrant Melissa to compile a “purposefully striding out” image of the Smith sighting? And why did Miss Tanner not immediately correct her misidentification of Mr Murat? In her April 2008 interviews - with Detective Constable Sophie Ferguson of the Leicestershire Police -Miss Tanner admitted that Robert Murat was not the “person” she had seen carrying a “child” on Thursday 3rd May 2007. It is not known what had caused her to change her opinion, especially when at the confrontation in Portimao on 11th July 2007 she had been so confident in her identification of Mr Murat. Possibly, it was that the PJ had shelved the case against Mr and Mrs McCann, making the identification a moot point. “I wasn’t really taking it in because I was worried sick I was about to be abducted by the people…..”. Detective Constable Ferguson’s lack of a reaction suggests she was fully aware, but not at all concerned, of Miss Tanner’s supposed accidental encounter with Mr Murat “five minutes” before picking him out as the abductor. It seems that Miss Tanner realised this encounter was “dodgy” and thus changed her reactive description of “five minutes before” to “well, you know, half and hour before”. Miss Tanner’s responses are disturbing for many reasons but perhaps the most worrying is her evasion of Detective Constable Ferguson’s question which called for a comparison of the “abductor” with Mr Murat’s photograph in the newspapers. The request to make the comparison with the papers was irrelevant and insipid. It would have been much more relevant, and potentially revealing , for the Officer to have invited Miss Tanner to compare the “abductor” sighting with her confrontation of Mr Murat in Portimao on 11th July 2007 and then to ask her why she had not corrected her misidentification at that time. Proper questioning would have put Miss Tanner’s false identification to the test. But even probing glaring discrepancies played no part in the Leicestershire Police interviews of the “Tapas 9”. The interviews were superficial and as one Officer explained it they were “just ticking the boxes”. But why? In any event, Miss Tanner avoided giving an answer to the insipid question that was asked and instead deflected to a comparison of her supposedly accidental meeting with Mr Murat “five minutes” before picking him out with his television appearances. This was not the question she was asked to address. If she had really seen Mr Murat on the evening of 3rd May 2007, in the course of abducting Madeleine, this would have been, as Detective Constable Ferguson correctly implied, the indelible benchmark in her memory. The fact that, either consciously or more likely subconsciously, Miss Tanner did not, or could not, make such a comparison throws further doubt on her evidence. So, Mr Murat’s life was destroyed and the Tapasniks have a “niggle” they may have got it wrong! Is Mr Murat unlucky or what? But why, oh why, when his lawyers must know every fact in this article and more, does he not take action (possibly involving the Independent Police Complaints Commission) against the Tapas 9, the LP, PJ and CRG? That is among the biggest questions of all. A number of people have asked me what is happening to the detailed reports, especially relating to a forensic examination of the crèche records, prepared by of one of the investigative firms with which I have been working. The Leicestershire Police has never formally acknowledged receiving the reports and have not responded to emails and telephone calls. They are thus in a position where they could deny ever receiving the reports. I understand that the reports have not been forwarded to Portugal and that the crèche records have still not been forensically examined. This again raises the possibility of a “cover up” or gross incompetence by the British authorities, including the politicians, Police, Home Office, Foreign Office and Forensic Science Service. But the subject will be pursued and all the relevant reports and papers will be handed over – soon... - to the head of the Public Prosecutors Office with a formal request to re-open the investigation based on new evidence which will be presented. So please be patient. Statement, 10 May: “…there had passed in front of her a man carrying, in his arms, a barefoot child. At the time she had not paid him much attention…Only it was strange that the child had no cover (blanket) and the way the man walked, rapidly, and how he was dressed, the trousers were slightly wide their entire length, being straight. They (trousers) were as to colour, identical to "corticine" (a type of floor covering), "chino" [Chinese] style. As for the coat it was dark coloured, she was not able to specify what, seeming to be the same material as the trousers, it being a type of ‘anorak’. Statement, 26 May: “He did not wear glasses and had no beard or moustache. He did not notice any other relevant details partly due to the fact that the lighting was not very good. He was wearing cream or beige-coloured cloth trousers in a classic cut. He did not notice the body clothing and cannot describe the colour or fashion of the same… - Urged, he states that the individual did not appear to be a tourist. He cannot explain this further. It was simply his perception given the individual's clothing”. Guardian, 11 April 2008 “What happened on the day Madeleine disappeared?” 2.29pm: The last photograph of Madeleine is taken at the pool. The camera clock reads 1.29pm but the family says it was out by one hour. · Was Kate was standing in the pool when she took the photo, or using zoom and standing on the other side of the pool?